Meet Miss Maggie. She is 5 yrs old, grey tabby. Her ideal home would be with adults and no other kitties. Maggie is a sweet heart, adores petting, very low energy. Cat towers and watching outside and TV with her humans. She has thicker grey striped fur. She's had a rough life. Her only family abandoned her and she was turned into a high kill shelter. We saved her and place her with a sweet older lady who adored her for a couple of years. Maggie's human suffered severe heart issues recently and now has to go into assisted living and Maggie can not go with her. 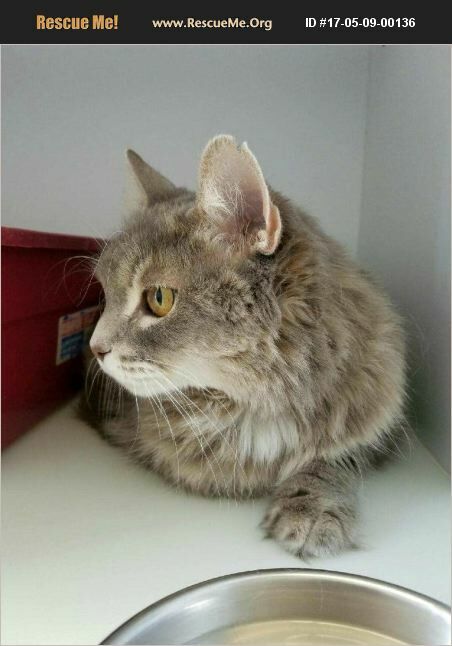 She needs someone to love her, a quieter home where she can show a family her love. We offer a 2 week trial to see if your home is a good fit for her.